This standard defines products and processes with low chemical and particle emissions for use indoors. The standards establish certification procedures including allowable emission levels, testing type and frequency as well as toxicity limits and acceptance. See Greenguard.org for more information. (formerly known as GREENGUARD Children & Schools Certification) offers stricter certification criteria, considers safety factors to account for sensitive individuals (such as children and the elderly), and ensures that a product is acceptable for use in environments such as schools and healthcare facilities. See Greenguard.org for more information. Fabrics with this symbol have been tested for resistance to flame. Tests may include NFPA (National Fire Prevention Association) No 701 “Standard Methods of Fire Tests for Flame Propagation of Textiles and Films, 2010 Edition (Test 1 Small Scale), California Administrative Code Title 19- Public Safety, Section 1237. Flame Resistance, Small Scale Test., or other such test as listed on the data sheet for each fabric. Lead is a chemical element in the carbon group and is a poisonous substance that is still sometimes used in paint and other dyes for white, yellow, orange, and red. Fabrics with this symbol have not been manufactured with any lead products and contain no traces of lead, or have been tested using Eurpopean Standard EN 71 Part 3:1994 + A1:2000+ AC:2002 – Migrationof Certain Elements, ASTM4834-03 + CSA. Can 600.08, or similar test as listed on the data sheet for each fabric. Polyvinyl chloride, commonly abbreviated “PVC,” is a thermoplastic and has a natural resistance to sunlight. Certain parts of the production process, as well as normal degradation of the material over time has been known to produce VOCs, which degrade indoor air quality and cause other health concerns. Fabrics with this symbol contain no PVC. This logo indicates that this fabric is eligible for printing! Create your own designs and print them directly onto the fabric through the WT Shade GraFix Shade program. Visit WTShade.com for more information! Fabrics with this symbol have been tested and have been proven to resist fungus growth and discoloration caused by fungus growth. using ASTM G 21-09 Standard Practice for Determining Resistance of Synthetic Polymeric Materials to Fungi, or similar methods. 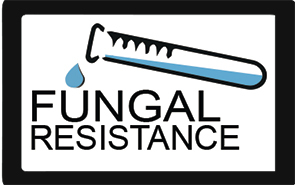 Fabrics with this symbol have been tested and have been proven to resist bacterial growth using ASTM E 2180-07, (2012) Standard Test Method for Determining the Activity of Incorporated Antimicrobial Agent(s) In Polymeric or Hydrophobic Materials, or similar methods. This fabric contains recycled contents. The percentage of which is listed on the data shee for each fabric.